The Bridal Suite can be a chaotic place on the wedding day. This bride though had everything under control. I find a timeline really is beneficial for the bride and groom when planning their day, especially when it comes to the photography. That is why I go over the timing of the wedding photography with my brides in advance. 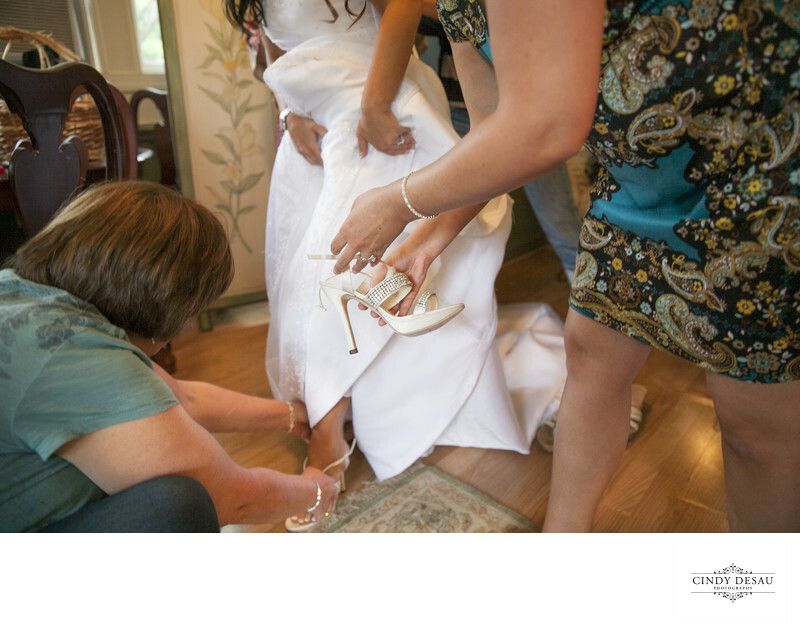 This bride gets assistance with her shoes from helping hands, and is ready to go see her groom for their "first look," right on schedule.